Kay and Alex Boyd began growing, packing and marketing asparagus in 1980. 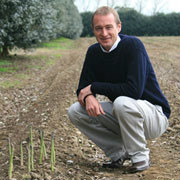 Boyds Asparagus Industries Ltd was established in 1997. Over the years the Boyd brand has grown to be synonymous with fresh asparagus. Fresh bunched asparagus of outstanding quality. Products provided on a daily basis from September until Christmas every year. A moderate climate, fertile soils, high tech equipment and efficient management ensures a premium quality product being dispatched to the buyer within hours of harvesting. We cultivate high quality asparagus. 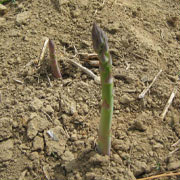 We also offer a wide range of contract Services for complete asparagus production to other asparagus growers.